cooked and well drained or one packet of frozen spinach. Heat some olive oil and toss in the chopped onion and crushed garlic and bake till it’s gold. Throw in all the other ingredients one by one, bake them until every vegetable is well baked in the fats. There should be no liquids left in the pan. Cool the mixture before proceeding. Get the pastry ready by rolling it out and lining it in the bottom of an oven dish. Add the cooled off mixture and press it down into the pastry case. Cover it with the pastry lid, seal the edges and prick all over with a fork. Bake the pie at 200° (400°F), or gas mark 6 for about 45 minutes until it’s golden brown. Make sure it settles and eat it preferably at room temperature. 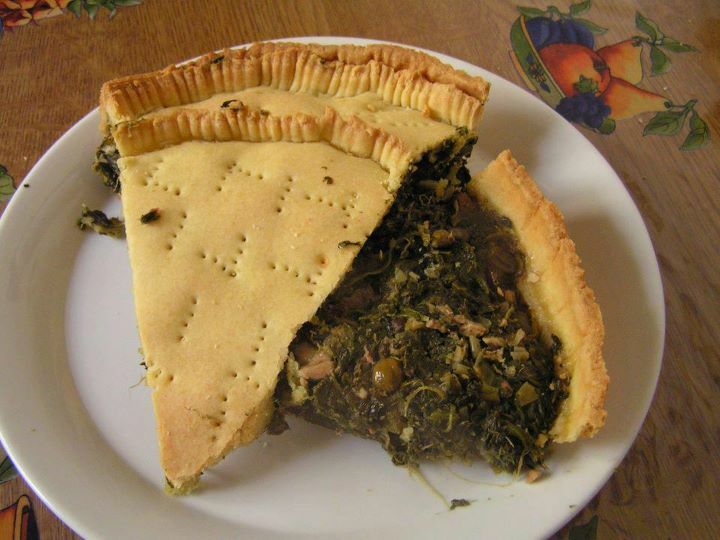 This entry was posted in Pies, Recipes and tagged Fish, maltese recipes, pies, Spinach, traditional maltese recipes, tuna. Bookmark the permalink.